Not a popular fashion accessory due to the hot weather, a scarf is something you seldom see people on the streets wearing on this sunny island. And Yuki is a good example since mine isn’t wearing one. Then again, limited editions of Yuki do come with a scarf with colours like white, yellow, orange, pink or mint green. I have seen yellow like the one below stolen from here but not the other 4 colours. Additionally seems like other than scarf, a box of chocolate is included as well to commemorate its release on Valentine’s Day. Just curious, do you own a figma Yuki? Does it comes with a scarf and chocolate? 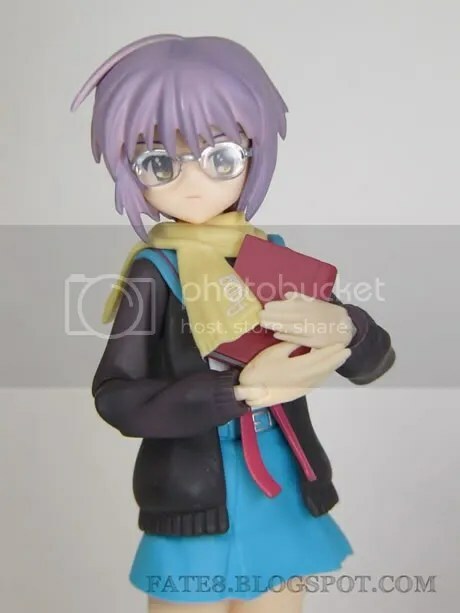 I am interested in buying Figma Yuki, since she is my favorite SHnY character and because the Figma dolls are less money than other figures. wow that’s cool! scarf and chocolates haha! That packaging is kawaiii!!!! 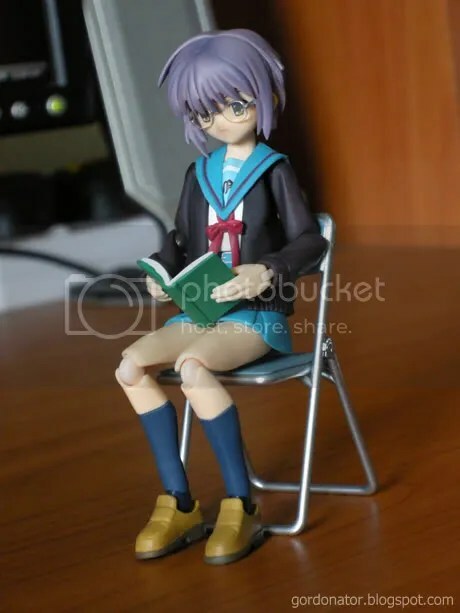 Anyways, I own the Figma Nagato Yuki normal version only, still sealed. WHOEVER HAS THAT YUKI SCARF, MAI YUKI FEELS COLD, GIVE IT TO MAI WAIFU NAO. 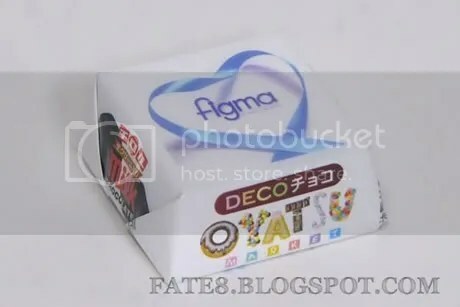 ooh, I got my figma Yuki last week, but i didn’t get the scarf or chocolates with it. Well, at least Yuki won’t feel cold during winter anymore..
Is the chocolate edible for human consumption?? I got the second batch blah. I don’t know…Her joints just seem to stand out too much. hope my mikuru arrives in local store soon. she looks great! I think I’m going to pass on this..
u can get them online at hobbylink japan and hobbysearch.